When I order sushi, I usually ask the server for enough extra sauce dipping bowls for each person to have a separate bowl for each variety of soy sauce we will have with out meal, including the soy sauce served by the restaurant. Much like a wine tasting, I place the bowls in a row and pour each soy sauce in order from the lightest to the darkest to help keep track of which soy sauce is in each bowl. If you are interested in discussing the different soy sauces with your dining companions, it is much easier if everyone’s soy sauce dishes are arranged in the same order. One of the most important elements of a great soy sauce is that is fresh. Soy sauce is stored in an air tight bottle when it leaves the brewery and remains stable as long as the bottle remains closed. Much like opening a bottle of wine or beer, as soon as the cap is removed from the bottle, fresh air, and particularly oxygen, interacts with the soy sauce and begins to change the flavor. If you smell and taste a soy sauce immediately after it is open and poured, and then again in ten minutes later, you may notice that certain aspects have changed. I find that soy sauce opens up for a few minutes as the various aromatic compounds are released into the air and minor chemical reactions caused by the air change and often soften the flavors. If soy sauce is exposed to air for too long – hours, days or even weeks, the wonderful volatile organic compounds that give the soy sauce such great flavor will dissipate and the complex aromas will disappear. Even worse, exposure to oxygen will oxidize the soy sauce create unpleasant, off flavors. These flavors are often taste metallic or bitter. It is similar to the process that makes a day old bottle of wine taste completely different from when it was uncorked. Many restaurants serve soy sauce in small carafes with open spouts that are left on the table or sushi bar. The problem of oxidized soy sauce is particularly pronounced when restaurants use these carafes and fail to replace all of the soy sauce in each carafe on a daily basis. The soy sauce is, in effect, constantly exposed to fresh air, particularly when people pour the carafe into their soy sauce bowl, which accelerates the aeration process by mixing the contents with the air. Even more disconcerting and destructive to the soy sauce is a practice in many restaurants of topping off the soy sauce carafes at the end of each night’s service. This results in some of the soy sauce being days, weeks and even months old. It reminds me of how port wine is made by repeatedly adding new port to an old barrel whenever it begins to empty. Thus ports that are labeled as being 10, 20 or 30 years old based on the oldest port in the barrel. I have been served soy sauces that were so bitter that I suspected the carafe still contained some soy sauce from when restaurant had opened years earlier. The flavor of a freshly opened bottle of soy sauce should be bright, clean and complex. Shiso soy sauces come in relatively small bottles to assure that they are fresh. Our soy sauces have a delicate yet distinct yeast smell from the yeast used in the second fermentation. The smell can be reminiscent of a great beer, or a freshly baked loaf of sour dough bread and results from the same biological processes. The yeast smell is ephemeral and dissipates quickly as the hundreds of volatile organoleptic compounds are released into the air to create the complex aroma. The following suggestion include the qualities that I look for in a soy sauce. You should feel free to develop your own approach when tasting soy sauce or any other food or beverage. Color. The color of soy sauce can range from a delicate, almost clear color for a “white” Shiro soy sauce to the thick, dense black of a “twice brewed” Saishikomi soy sauce. There is a range of colors in between, with dark browns with red hues being the most common. The color should be clear, pleasant and will often broadly reflect the overall experience, with darker soy sauces generally having stronger flavors, and increased saltiness and acidity. There should not be any cloudiness or particulates. Aroma/Smell. 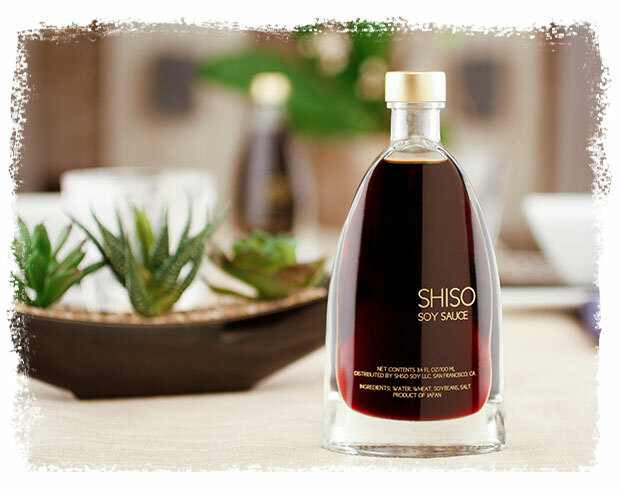 Fresh Shiso soy sauces have a live yeast smell and over 300 volatile organic compounds, many of which are similar to those produced in wines and beers. The yeast smells are strongest when the bottle is first open and dissipate quickly. The other smells vary depending on a number of factors; in any event they should be pleasant, provide balance with the flavors, and add to your sensory stimulation when tasting the soy sauce. Feel free to swirl the soy sauce bowl and lift it near to your nose to better appreciate these aromas. Tasting. Before I begin to eat, I like to taste the soy sauces by dipping the tip of my finger into each of the soy sauce varieties. Each diner should have their own separate bowl for each soy sauce, so double dipping can be avoided with a minimum of effort. Acidity. 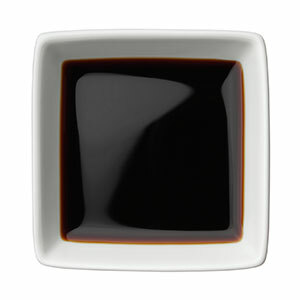 The acidity of soy sauce can range from around 4.6-5.2 on the pH scale, with 1 being the most acidic and 7 being neutral. A lemon, for example, has a pH of about 2.2. The acidity is important to balance the oils in the fish as well as any sweetness in the soy sauce or sushi rice (which contains sugar). I generally prefer more acidic soy sauce with oily fish such as fresh sardine and mackerel, and less acidic soy sauce with lighter fish and delicate items such as fresh scallops. Salt. The salt content of soy sauce generally ranges from 16% to 18%. The right amount of saltiness is, like everything else, a preference. Saltier soy sauces tend to work well with oilier fish as well. Umami. Umami has been called the fifth flavor, along with salty, sweet, sour and bitter. Umami gives soy sauce its unique rich flavor and mouth feel, and intensifies the meaty, savory flavor of other foods. The umami flavor is from glutamic acid, one of the most abundant naturally occurring non-essential amino acids. Glutamic acid is found in tomatoes, Parmesan cheese, potatoes, mushrooms, and other vegetables and fruits. Sweet. There may be a small amount of residual sugar in the soy sauce following fermentation which provides a sweet background flavor. Sweet flavors in soy sauce are subtle and can be difficult to taste. The sweetness helps to balance the acid and salt and can compliment other flavors as well. Bitter. A small amount of bitter flavor is acceptable and can balance the other flavors and bring out the qualities of certain sushi preparations. Too much bitterness in unpleasant, masks the other flavors and is often the result of old or poor quality soy sauce. Viscosity/Mouth Feel. Soy sauces should provide a soft, rich and silky feeling in your mouth as a result of umami. The umami flavor enhances the flavor of other foods, particularly fish and shell fish, and creates the sensation that your mouth is coated with the flavors you are eating. Flavor. The flavors in soy sauce are like the aromas – there are a very wide variety that are subtle and take practice to recognize because of the high acid and salt content. Common flavor descriptions include sherry, coffee, unsweetened chocolate, earthiness, cooked mushrooms, and roasted nuts. A well balanced soy sauce will make it easier to enjoy these flavors. Finish. After you have eaten food flavored with soy sauce, there shouldn't be any harsh, salty or bitter sensations in your mouth or throat. Over all balance and suitability. The soy sauce should not be so strong as to overwhelm whatever you are putting it on. Excessive acidity, which can taste caustic or cause a burning sensation. Excessive saltiness, which is unpleasant, overwhelms all other flavors, and can cause a burning sensation on you lips or mouth. Other off flavors include unpleasant, often heavy flavors which distract from the food. These include a thick caramel flavor, a cigarette tar flavor (which common problem with synthetic soy sauces), and similar heavy, unpleasant tastes.